At Southplains, everyday is a fresh start. Living in Southplains is like spending your days in golden fields where the sun gently touches the grass and the wind sweetly kisses green pastures. Southplains presents an opportunity for you to reap the fruits of your labor. Landscaped entrance gate, tree-lined walkways, streetlamp-lighted sidewalks please the eye as you go around the community. 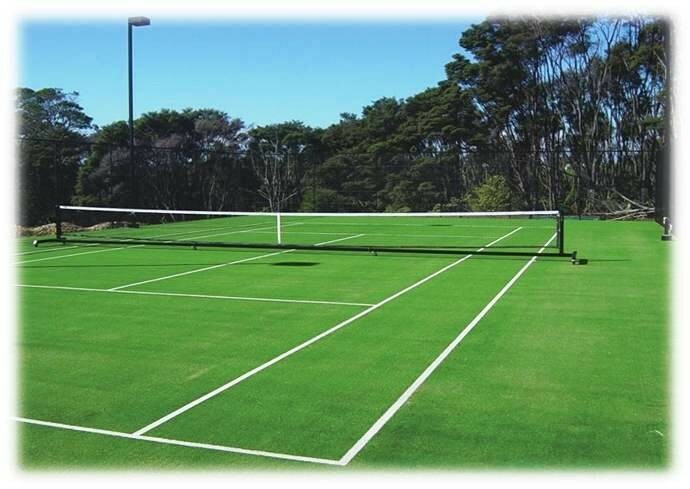 Clubhouse, sports and recreational facilities, picnic grounds serve as perfect settings where you can make happy memories with the one you love. 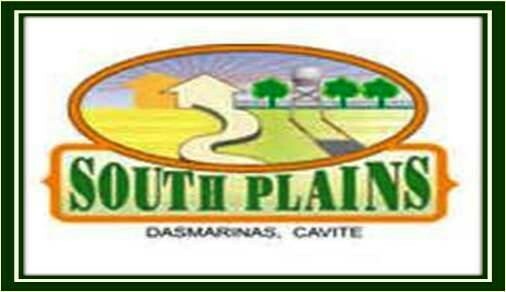 Commercial areas like SM and Robinsons Dasmarinas are around the subdivision to ensure your convenience. And of course, modern community amenities like water, electricity and drainage facilities are available for undisturbed moments with your family. 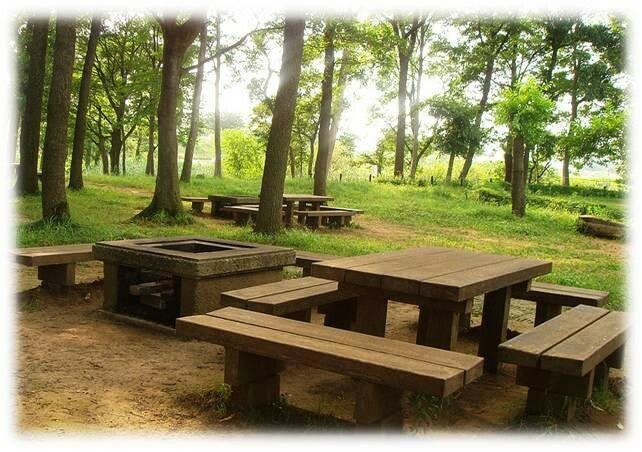 Only 30 minutes away from Manila, Southplains is accessible through the Manila-Cavite. Coastal Road going trough Emilio Aguinaldo Hi-way. 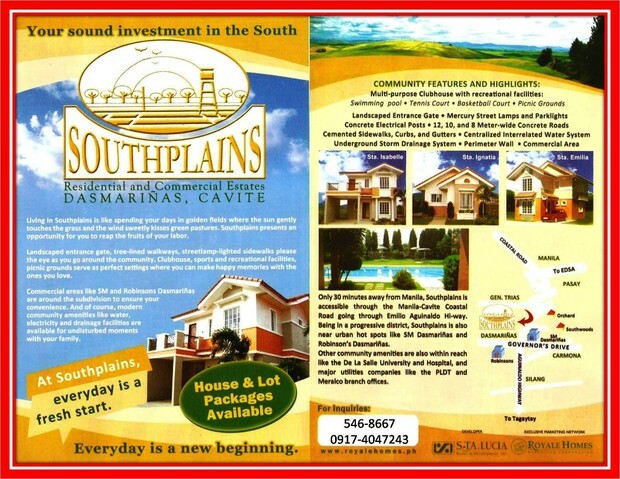 Being in a progressive district, Southplains is also near urban hot spots like SM Dasmarinas and Robinson's Dasmarinas. 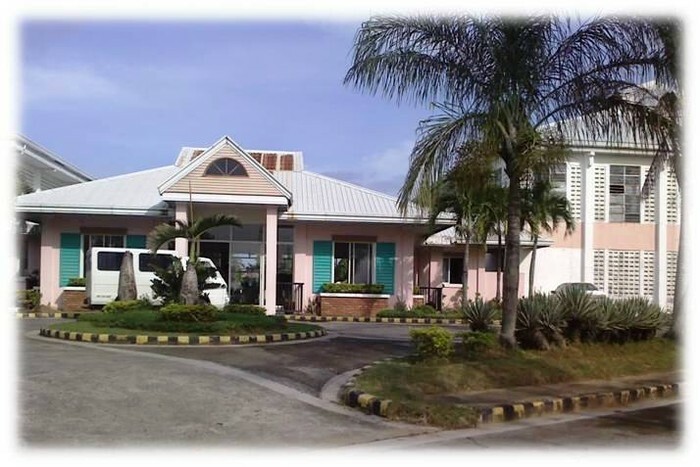 Other community amenities are also within reach like the De La Salle University and Hospital, and major utilities companies like the PLDT and Meralco branch offices. 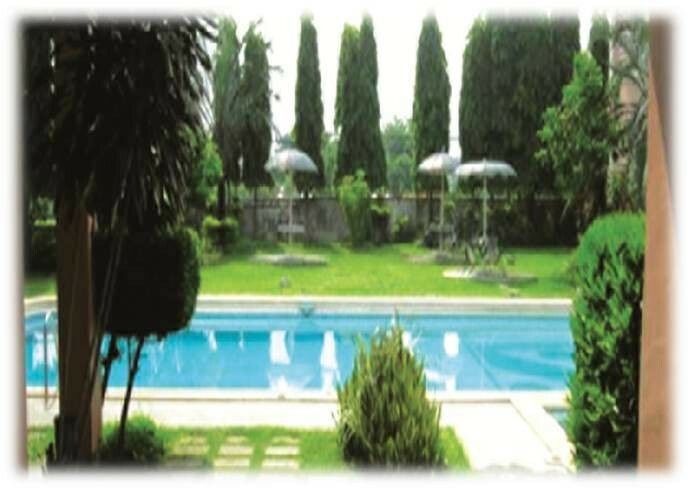 Avail of our Special Discounts for Residential Lots NOW!